Exclusively Ours! Lead & Nickel Free!! 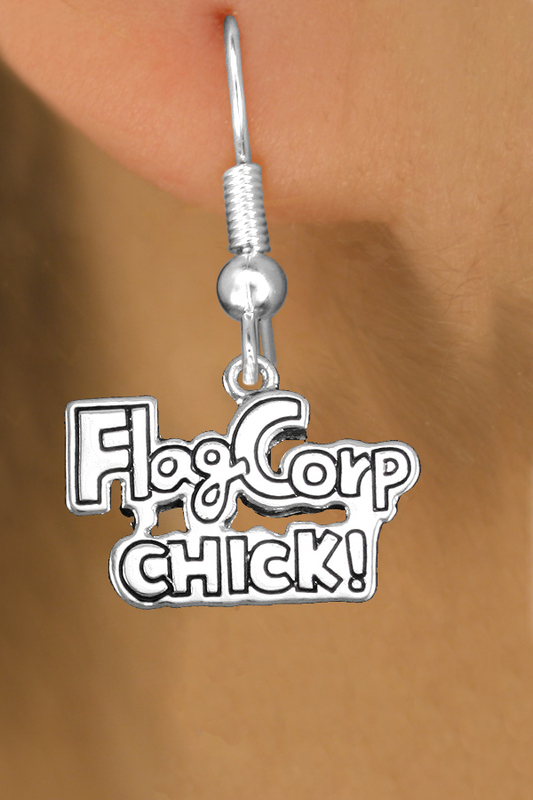 Polished Silver Tone "Flag Corp Chick!" 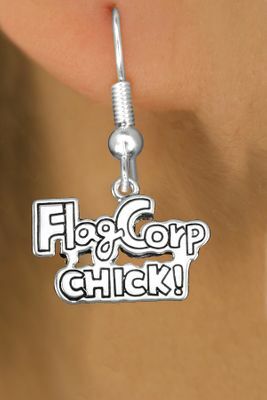 Charm Comes On An Earring Style Of Your Choice: Surgical Steel Post Or Surgical Steel Fishhook.